Over the last few years, a lot has changed at the IMB. 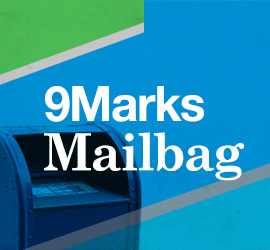 9Marks sat down with Sebastian Traeger to talk about it. Why should Christians work? How can you trust God in the workplace? How can you avoid making an idol of work and being idle in work? Sebastian Traeger lives and works in Richmond, Virginia.